Playing for great teams became the norm for this Belleville resident for 24 seasons. Mike Werle participated with teams named Chick Fritz, Stags, Metro East Softball Club, Loggers, Magicians, Belleville Budweiser, St. Clair A's and St. Louis Rockets. Along with those teams' success stories, so were his individual accolades, as he was a Class B All World selection 4 times, while participating with Belleville Budweiser. The big first baseman smashed over 650 home runs over his career, while batting over .600. An All-State Most Valuable Player in 1984 propelled him to future all-tournament selections over the years. He admits Belleville Budweiser was the best team he played for as they won a lot and were best of friends. He identified teammates Mike O'Connor, Denny Albert, Mike Kreher, Dirk Androff, Leon Kreher, Al Studt and Larry Mohme as some of the finest players with whom he shared the diamond. For Mike, what made his softball journey the best was that he shared it with those that he went to school and grew up with, while getting better at the game. He always wanted to be known as the guy his teammates could count on. He has no regrets in his outstanding career, as he feels he had more fun and won more games than most. He credits the Illinois USSSA program as being the best organized and competitive oriented organization, which always provided his teams the best competition. 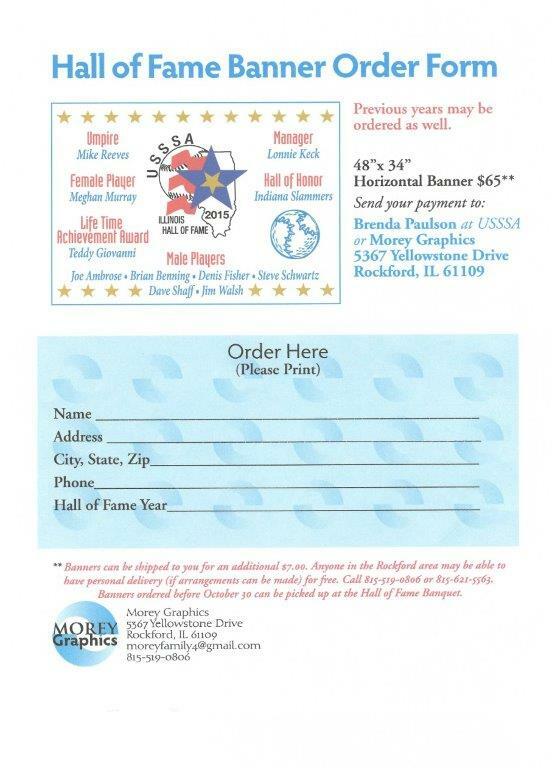 With his induction into the Illinois USSSA Hall of Fame, Mike's journey continues. 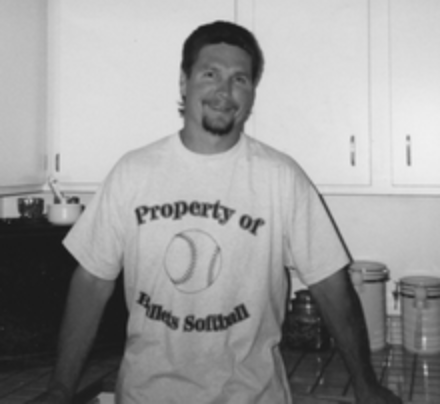 Don began playing softball in 1986 with the Stickmen, which led to his participation with the more competitive Kings and KA Softball teams. These teams captured 6 state titles and 2 Class B National Championships, while finishing 2nd in the 2004 and 2005 Class B World Tournaments. Other team accolades include a 1997 35 and Over World Championship with Tron and a 40 and Over National title with Ken's Beverage. Being an outstanding outfielder and situational hitter provided Don with Class B All-State selections in 1995, 1996, 2006 and 2008. NIT selections in both A and B Classes on six occasions, while being All-World five times in Class B, 35 and Over and 40 and Over tournaments. These honors mean little to Don, as he is satisfied to be remembered as a great teammate that gave his all for the guys he shared the dugout with over the years. Don states, "Ken Adams was my best coach because he always wanted to win." While identifying Jim Cushing, Billy Shahagian, Scotty Klein and Jim Walsh as some of the best players he had played with over his 24-year softball career. Don chose his wife's new car being picked up and carried off by his teammates at a tournament in Indiana as his funniest softball experience. It seems his wife, Andrea, did not share in the laughter. His biggest regret is that his playing days had to end. He thanks the USSSA and everyone that has supported him, while he played the sport he loves. If you see a truck full of sod circling the hotel parking lot following tonight's Hall of Fame induction ceremony, think nothing of it because it's just Pietryk's teammates sodding one of the guest rooms. This would be a reenactment of one of the funniest experiences Jerry recalls in his 20 years of playing softball with teams like the Hurricanes, Home Run Inn, Extreme Easton, Ken Adams, Ken Beverage and Creative Design. Of those teams, Jerry sites the Ken Adams team as being the most fun and competitive. From 2001 through 2006 the Ken Adams team captured 6 state titles, 5 NITs, 2 National Championships and 2 second place finishes at world tournaments. While playing most infield, Jerry posted an estimated .650 plus batting average and hit over 600 dingers. That kind of production landed him on many state, national and world all-tournament teams. After a high school baseball career at De LaSalle High School, Jerry played college ball at North Central College. His softball career began in 1990 when he was asked to participate in a Sunday League at Country Club Hills, which led to him being recruited by Larry Scott and John Kramer of the Hurricanes. Even though he has many success stories, Jerry wants to be remembered as being a player that never quit and was always a good person to his teammates and to his opponents. As he reflects on his great career, his only regret is not winning a Class B World Title, as two seconds leaves a bad taste in your mouth. He also recognizes that the USSSA has allowed him to play competitively in a well-organized environment, as he was always supported by his wife Lee Ann and his two children Blake and Hailee. Tank began playing USSSA softball with the Comets from Downers Grove in 1994 after being asked by Guy Altier, Kurt Stepina and Jim Bonnamy to participate with them in the Northern D State Tournament. That was the beginning of an exceptional twenty-year run, as he has accumulated a lifetime batting average of .685, while hitting over 1,000 home runs. His best season batting average was .740 in 2005, while playing for KA Softball. Jim mostly participated behind the plate and received All-National selections in Class C during 2013 season and Class B during 2005. He also has received numerous all-NIT and All-State selections during his competitive playing career. Jim sites the 2006 KA Softball team as being the best team he has played for due to their team chemistry, which made winning easy. He also recognizes Scott Opels, Dave Shaff, Ken Adams, Steve Hardy, Dennis Muth, Todd Ankney, Dave Catalini and Gary Lofton as the best coaches for whom he played. As he reflects on his great career, he wants to be remembered as a teammate that would always give his time to help another and thanks the USSSA for providing him the opportunity to compete at a high level. His most memorable softball experience occurred while playing in his first Class B NIT with the Wombats in Toledo, Ohio. He explains, "Our first game was against Harlow Printing from Michigan. I walked my first at bat and when I arrived at first base the first baseman began trash talking. Blabbing on how Harlow Printing was this great team and that we did not have a chance. The Wombats ruled them in 3 innings 30 to 3." His funniest experience happened this year at the USSSA Class D World Tournament when his teammate, Bill Bernabei, bet him that he would not slide down the kiddy slide at the Chick-Fil-A restaurant. Tank secretly asked the manager if he could slide down the kiddy slide. She gave him the go-ahead, as long as he paid for any damages. The slide and the kids on the slide all survived. Tank would like to thank all of his teammates, friends, sponsors, umpires and officials over the years for making his softball playing "A ROADHOUSE" experience.